The Scottish Strategic Archaeology Committee was formed in 2013 following a review of the Archaeology function at Historic Scotland. 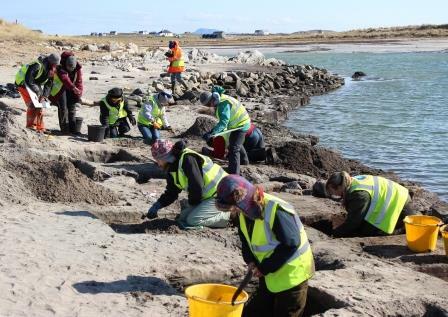 The Scottish Strategic Archaeology Committee (SSAC) will be an informal group, representing key partners / interests, to help with the development and delivery of Scotland’s Archaeology Strategy. There will be links to the Scottish Archaeological Research Framework (ScARF), and also to the Built Environment Forum Scotland (BEFS) when appropriate. Committee members can represent multiple areas on the committee. Others will be invited to attend as necessary, particularly representatives of relevant working groups. Committee members will serve 4 year terms – although the first group of committee members will serve between 2-5 years to ensure that there isn’t a sudden change of membership 4 years after starting. Members will only serve one term to ensure regular change of personnel and dynamism to the committee. The Chair will come from within the committee but not be a member of HES staff. HES will provide necessary administrative support to the Chair. The group will aim to meet three times a year. The Group will consider its progress against its remit and report to the Chief Executive of HES on an annual basis, recognising HES’s lead role in the delivery of Our Place in Time. It will liaise with the relevant groups of Going Further as necessary.